The Elstead Everly Small Single Ceiling Light Pendant is in an Olde Bronze finish with a shade inspired by blown glass containers. The Design Of The Elstead Lighting Everly Small Single Ceiling Light Is Based On Decorative Blown Glass Containers. 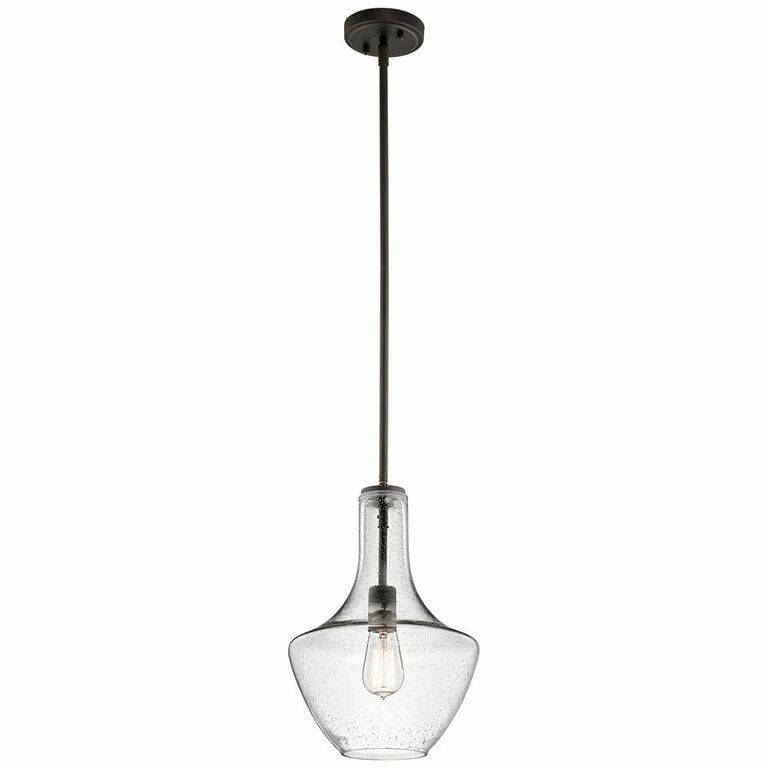 The Generously Sized Everly Small Ceiling Light Pendant Is In An Olde Bronze Finish.. Size: Dia:268mm, Fitting Height:387mm, Overall Drop:615mm - 1372mm, Supplied With Two 152mm Rods And Two 305mm Rods.